Crown Automotive has the right carburetor parts to keep your vehicle going. 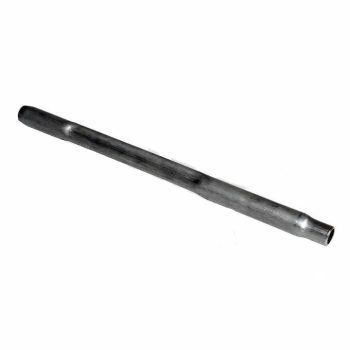 This new Caburetor Choke Heater Tube is available for 3.8L (S6-232) and 4.2L (S6-258) Engines. Backed by Crown Automotive 12 Month ,12,000 Mile Warranty you can get that hard to find part shipped to your door within days. Jeep CJ-5 1972-1974 w/ 3.8L or 4.2L engine; without Emissions Pump. Jeep CJ-5 1975-1978 w/ 3.8L engine. Jeep CJ-5 1975-1979 w/ 4.2L engine. Jeep CJ-6 1972-1974 w/ 3.8L or 4.2L engine; without Emissions Pump. Jeep CJ-6 (1975) w/ 3.8L or 4.2L engine. Jeep CJ-7 (1976-1979) w/ 4.2L engine. Jeep SJ & J-Series (1972-1974) w/ 4.2L engine; without Emissions Pump. Jeep SJ & J-Series (1975-1979) w/ 4.2L engine.